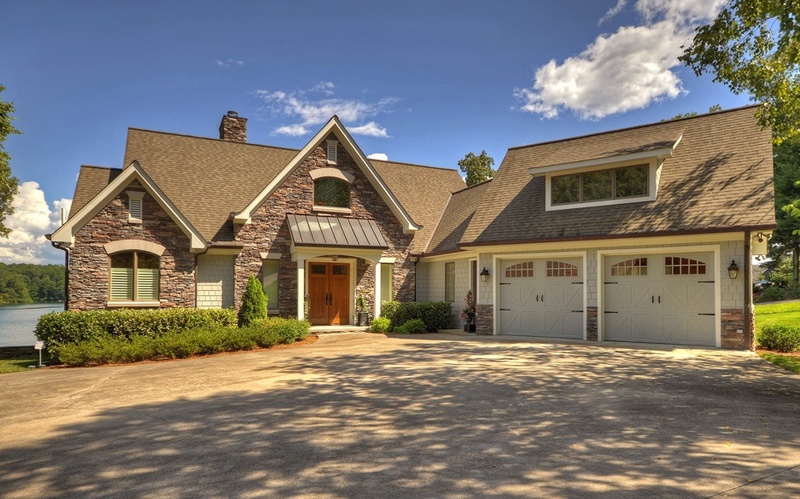 The premier luxury properties in mountain living can be found in and around the Blue Ridge area. 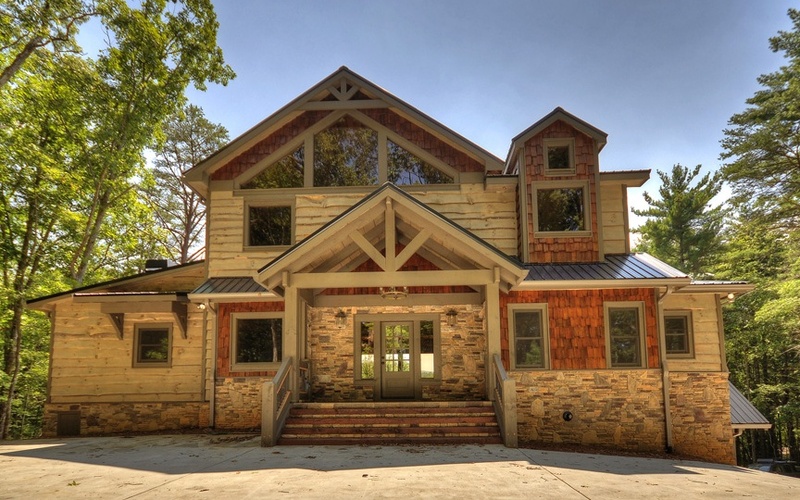 From rustic lodges to grand estates, there is no reason to sacrifice style, class, and the finer things in life when looking for homes for sale in Blue Ridge, Georgia. Whether you seek to be secluded high on top of a mountain or right on the shimmering banks of Lake Blue Ridge, Nathan Fitts & Team can help you find the most perfect and discerning place to enjoy for full time living or as a mountain retreat. Rustic charm meets modern luxury at this custom retreat in the mountains. Warm wood makes the large space feel homey, and the custom upgrades and features make for unbeatable style. Privately situated on 1.27 acres and bordering US Forest Service you’ll appreciate the quietness as you admire the year-round long-range mountain views on one of your 3 decks. Inside picture windows will invite the outdoors in while providing an abundance of room for entertaining. Four bedrooms each have their own in suite bathroom plus an additional half bath for guests. A fully finished basement, a stacked stone fireplace both upstairs and down, and an upscale gated community make this rustic retreat your next mountain home. The ultimate in modern rustic living can be found on just over one acre in the desirable “The Heights at Caches Valley” community. Bordered by the US Forest Service this four-bedroom, three and a half bath lodge was made for entertaining. With a generous open floor plan, gourmet kitchen, and large picture windows, you and your guests will be awed by the spectacular mountain views from all three floors. The fully finished basement is complete with a media room, wet bar, stacked stone fireplace, and access to the second deck for more stunning mountain views. 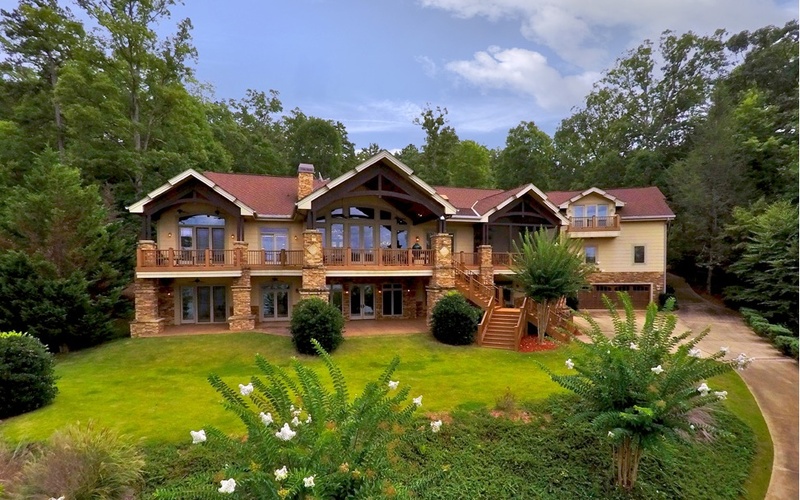 Live the lake life in this grand estate prominently perched on the banks of beautiful Lake Blue Ridge. This sensational home features seven bedrooms and six and a half baths. Boasting unbeatable style, this masterpiece offers upgraded finishes throughout and unlimited special elements that are sure to impress your guests from the moment they arrive. The design of this luxurious estate offers amazing entertaining potential from the expansive main level with an abundance of glass ushering in the natural light to the full basement that boasts a game room, full kitchen, aquarium, and theater. We haven’t even begun to discuss the outside entertaining space where the lake is a stone’s throw away and the mountains pose as the perfect backdrop. This contemporary home might seem average at first glance, but once you open the doors to this masterpiece of a home, you will fall in love! 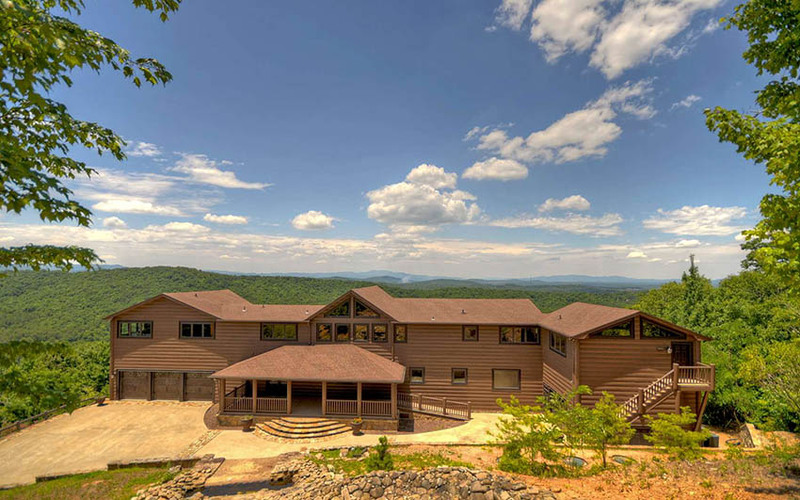 A classy and sleek design throughout this five-bedroom four and a half bath home, you have spectacular views from almost every window of both shimmering Lake Blue Ridge and the majestic Blue Ridge Mountains. This exquisite estate showcases over-sized manicured grounds, a top-of-the-line chef’s kitchen, a tremendous dining & living space with a stone fireplace, a sauna downstairs, your own private boat dock, and the most breathtaking scenes from one of your two back porches that you can imagine. You will be King of the Ridge at this lodge above the clouds. 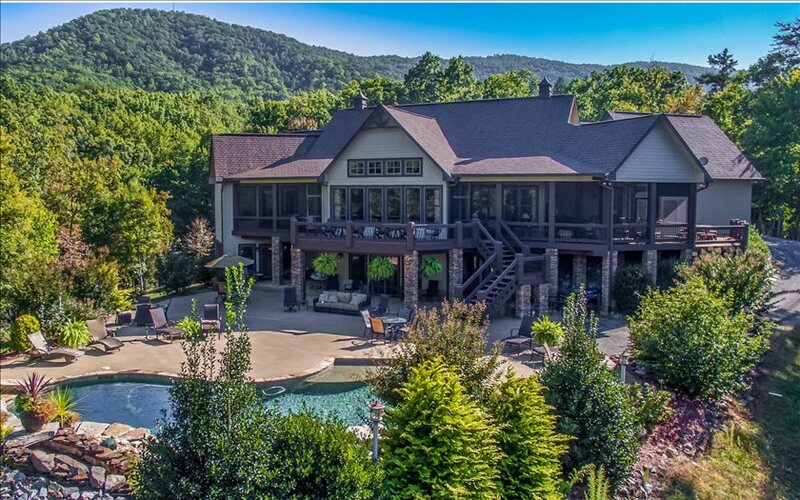 This extraordinary mountain estate is situated on 4 acres and features eight bedrooms, eight full & two half baths, and the most glorious 180 panoramic year-round long range layered mountain views. You will be truly mesmerized from every room in the house, but once you step out onto that deck, you will feel like you can just reach out and touch the clouds. Back inside you can enjoy the best of the best with custom features and upgrades throughout. Additional highlights include the caretaker’s suite above the garage, private guest quarters, and a full finished basement! The finest life you can live in the mountains can be found on the more than 7.5 acres at Davenport Mountain. 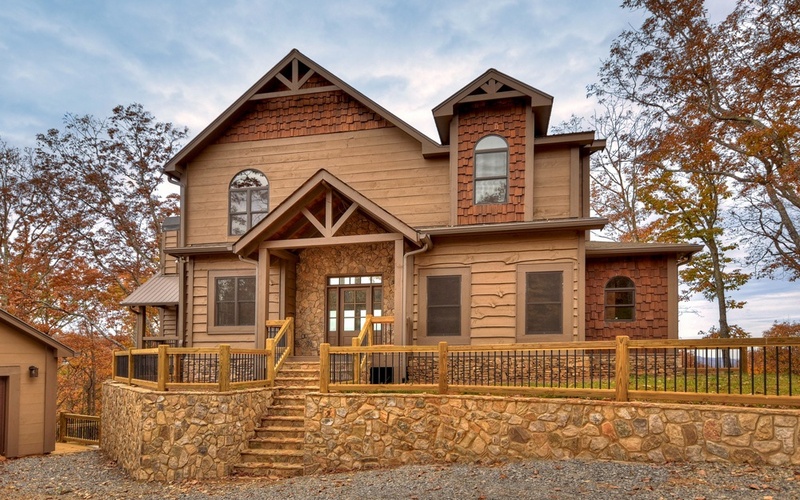 Surrounded by the stunning Blue Ridge Mountains, this spacious home built with craftsmanship and design that’s sure to impress features 5 bedrooms, 4 full baths and two half baths, a fully finished basement, a sparkling pool & waterfall in the backyard, and all the bells & whistles you can imagine. If you love to entertain, you have a multitude of options both upstairs or down and both indoors and out. The kitchen is a chef’s dream and your guests will appreciate the spacious and luxurious bedrooms when it’s time to retire. There is nothing not to love about this home. Not only will you be comfortable , but you will feel proud to own the most perfect piece of property in Blue Ridge.